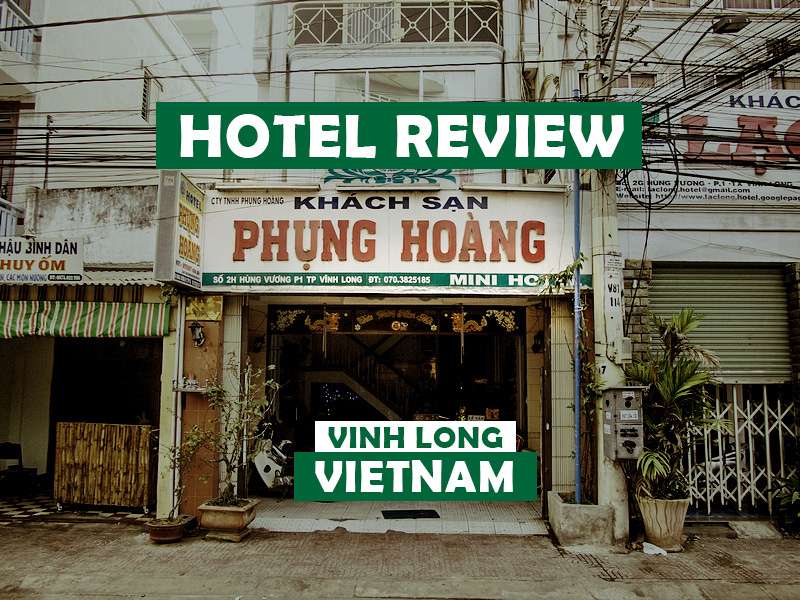 I stayed at the Phung Hoang Hotel in Vinh Long, Vietnam. The night before I had stayed at the Nam Thanh Homestay across the river from the town of Vinh Long. I checked out but ended up staying in Vinh Long another day, so I just stayed in the town instead. I found this hotel via an old Lonely Planet guide and just walked in without a reservation. There are a few other guesthouses on this street as well so it is a good place to go if you find yourself having to stay in Vinh Long. I like staying in provincial Vietnamese hotels as the rooms are almost always decorated in an eclectic way. I got a huge room with three windows! Granted, one of the windows was blacked out, but the illusion of having a three-sided window room was a nice change after having recently stayed in a windowless box. I had to wake up early as so I appreciated the well-lit space. The room looked like something your Vietnamese grandmother would decorate. Attached bathroom comes with hot water, which is always a bonus when you are paying less than $10 for a room. My room was 180,000 VND (about $8.40 USD). I saw on the room menu that there were rooms from 120,000 VND ($5.60 USD) but it wasn’t available at the time. 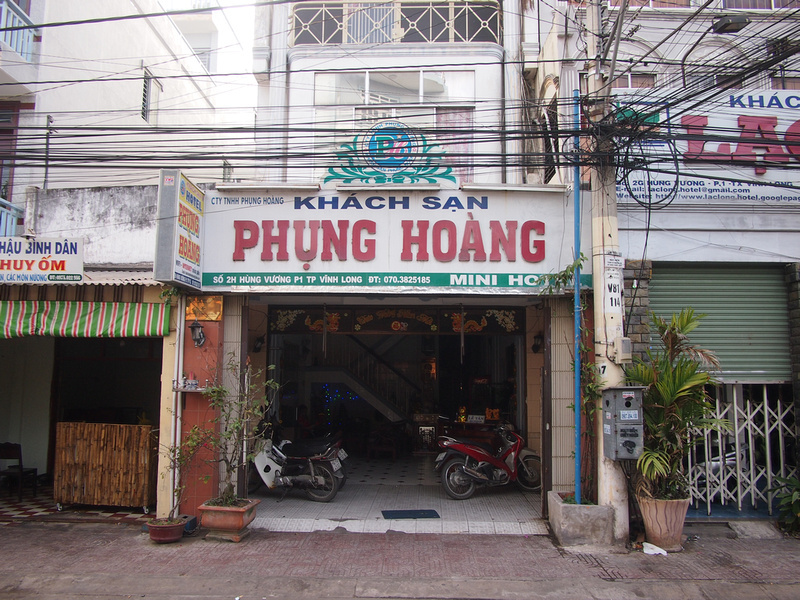 You can book the Phung Hoang Hotel online, or just turn up and hope for the best. For more hotels in Vinh Long check here.